Sorry, couldn't help the Total Recall reference. It's just hard for me to not think of that when the subject of mars comes up (you should see my Arnold decompression impersonation). 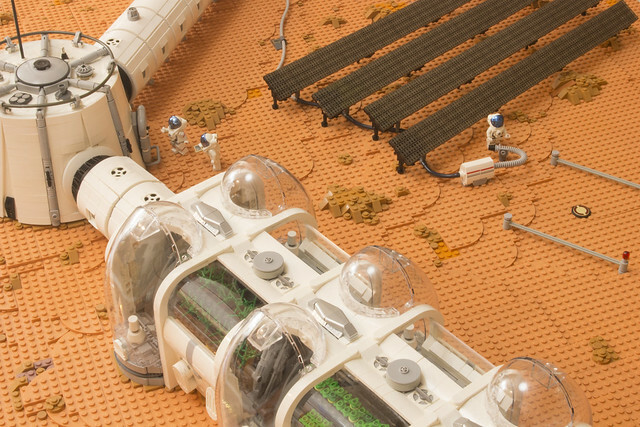 Builder eldeeem shows us the not to distant future with this brilliant (and huge) mars colony diorama. 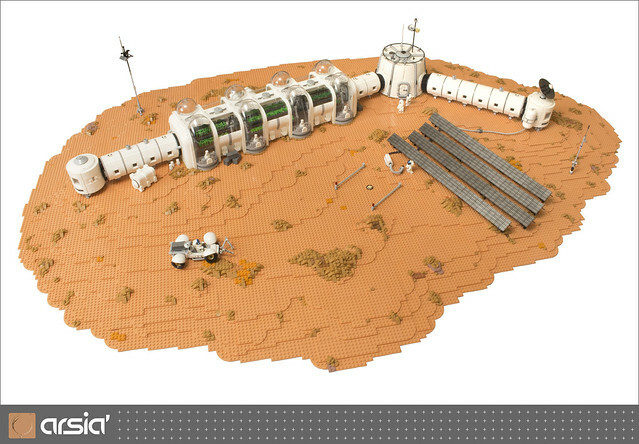 There's lots to love here, but my favorite details are the solar panels (I'm a sucker for the perfect part choice) and that rover looks ready to explore the red planet.